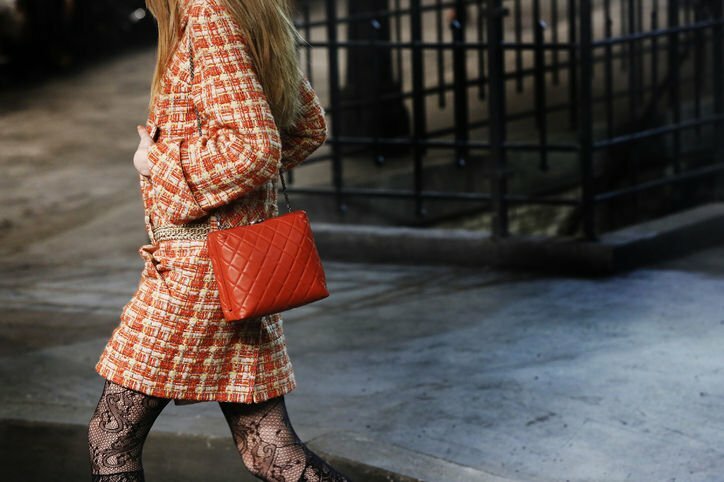 Glamorous and fashion-forward, Chanel’s Metiers d’Art Pre-Fall 2016 Runway Bag Collection is definitely packed with pieces we should all watch out for. Take your pick as we give you one of the most unforgettable collections you’ll ever come across. We sure are pumped, and we hope you are, too! It doesn’t come as a shocker though – the brand has been doing this for years, coming up with fresh, new ideas every season. And that’s not all, because they aside from releases, Chanel is also the masters of reissues. We cannot help but sigh at these babies. 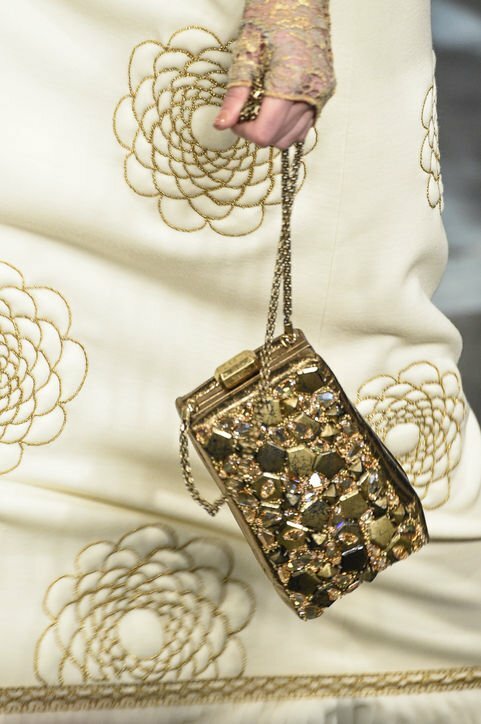 Metiers d’Art is a yearly celebration of the craftsmanship of Chanel ateliers who have worked their way into matching even the most eclectic of materials – this collection is all about diverse patterns, stitched together to create the most exquisite of pieces. Well, we’ve already known the brand to be heavy about their coordinated patterns, but this collection’s definitely on a different level. 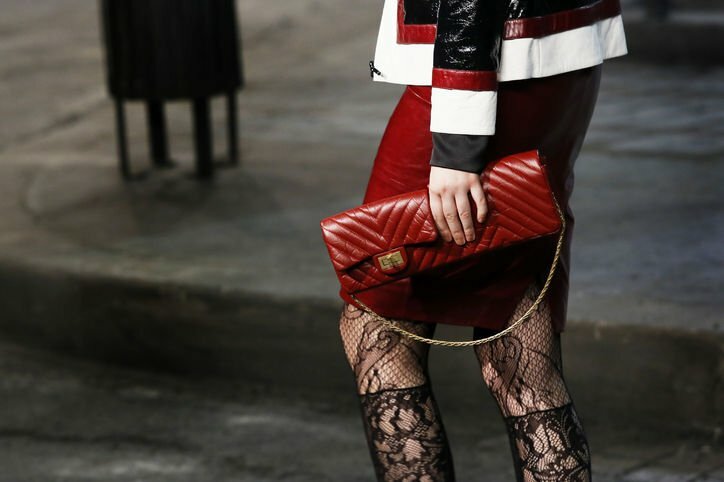 Well done, Chanel! 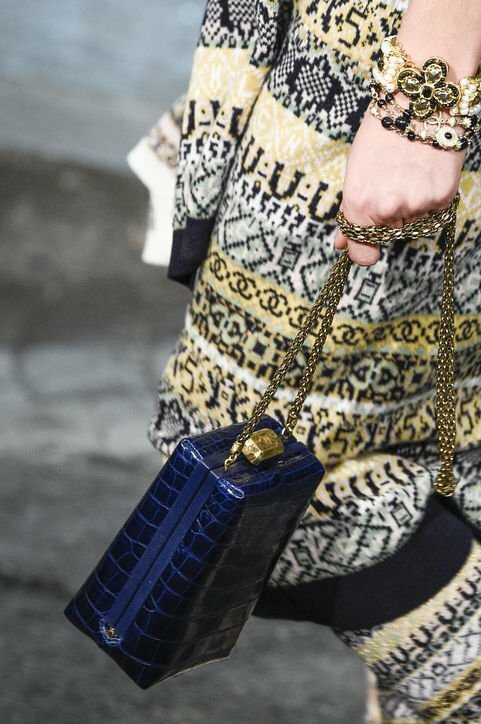 Following up on our previous post about the Chanel Mini Tote Bag with Artful Print, here is a preview of the Chanel Métiers d’Art Paris-Salzburg Bag Collection. This line will be launched next year, but the preview is a good opportunity to find out what we can expect, so that we can start budgeting for our next year’s wish list. (Budgeting? just kidding!). The runway was held at Schloss Leopoldskron in Salzburg, Austria. It features a lot of iconic handbags like the classic flap bags and even the boy flap bags, but then the updated or redecorated. 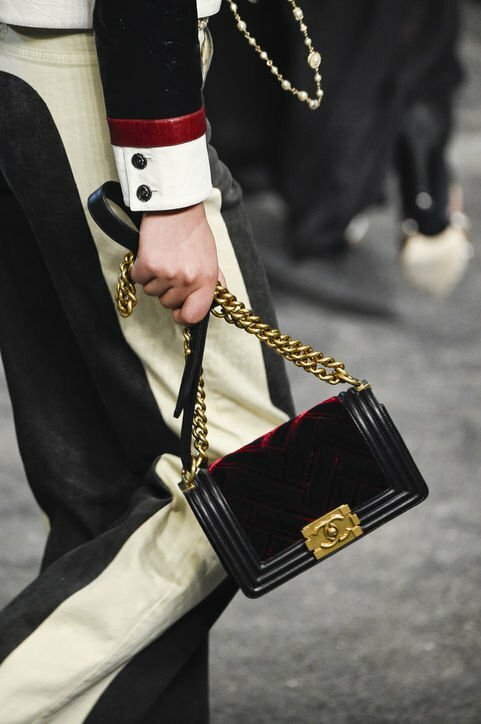 Just like this new Chanel Boy Flap Bag. Or should we say tote bag? It’s got a flap and a long masculine chain to carry on your shoulder, but it also features a handle on the top. Painted in green, light-brown and with red arrows on the edges, it’s a whole new experience of carrying a boy bag. 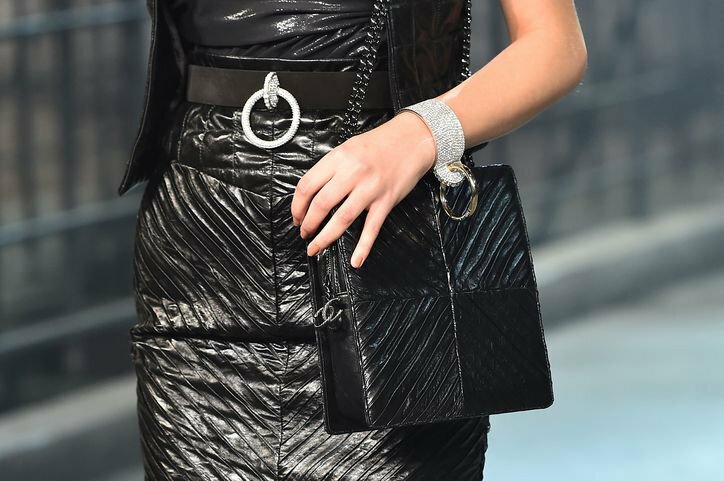 Notice this Chanel Classic Flap Bag, but it’s not what we used to, you know, black, leather and quilted. It’s stitched with little spring flowers, lovely! 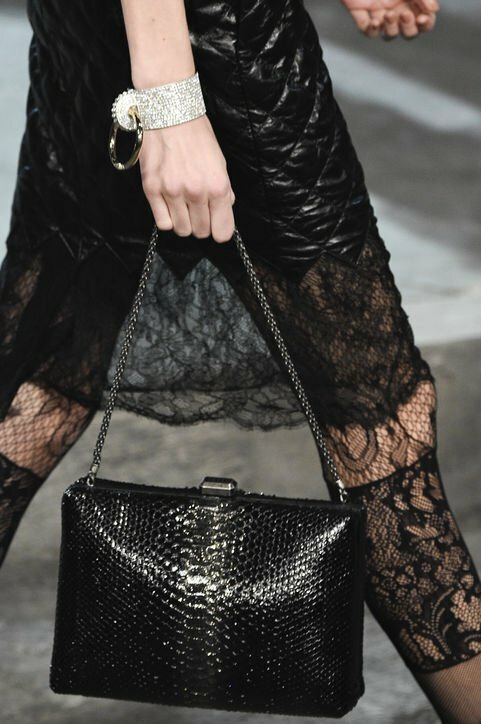 It comes with an interwoven chain link, which is not leather. Here is more proof! Is it a headphone or an ear warmer? Nobody knows until the launching date, but given the way it’s structured, it’s almost certain that it is a headphone. Purchase one that matches to the color of your hair, would you get one?